It doesn’t matter the occasion, you can always expect that 'Auntie Mame' will arrive bedecked in something au courant. In the original novel, author Patrick Dennis nary lets a chapter go by without highlighting his title character’s vast wardrobe. But what was easy for him to put to paper is infinitely harder to actualize for the legitimate stage. The man awarded the burden of designing the costumes for the musicalization was Robert Mackintosh. Thankfully, Mackintosh already knew his way around a hemline. He’d made his Broadway costuming debut some years prior with Wish You Were Here, a show that is mostly only remembered today because it featured a swimming pool onstage. But, for Mame, Mackintosh was going to have to dream up something a little more bold than bathing suits. One particular challenge for Mackintosh was a blow dealt by casting. The original ‘Auntie Mame’ of stage and screen was the indefatigable Rosalind Russell. People had long since ascribed the actress to be inscrutably fashion-forward. Although la Russell stood only 5’8”, by the way she wore a gown you’d have guessed she was at minimum 6’3”. 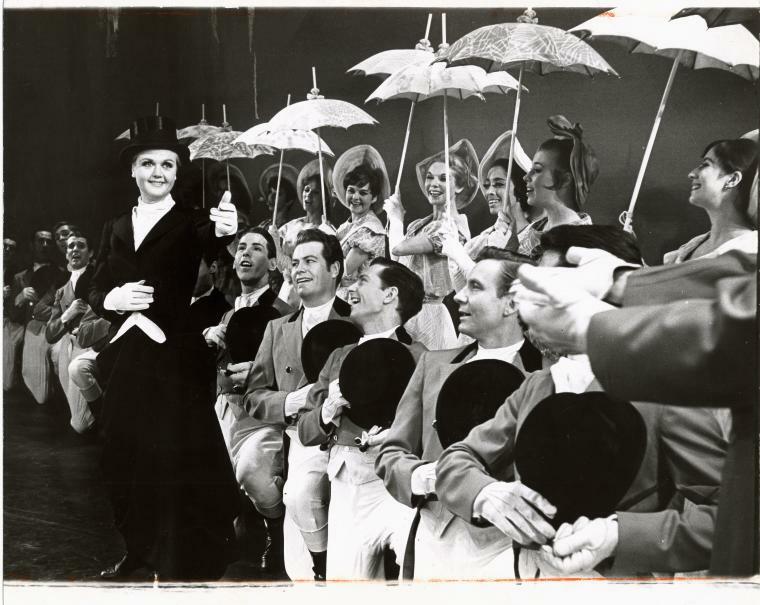 Interestingly enough, Angela Lansbury, who was to take on the role in the musical adaptation, was also 5’8”; however, from looking at her you’d guess she was maybe 4’10”. So, it became costumer Robert Mackintosh’s foremost responsibility to make Miss Lansbury stand out from the crowd. Taking his cue from the source material, Mackintosh decided thematically that “more is more”. According to an article in the New York Times published four days before the show’s first public preview, Mackintosh really outdid himself with this one. In the original play, Rosalind Russell wore 17 costumes. But this was a musical, for heavens sakes! By the time the show opened, Lansbury was 10 ahead of Russell with a grand total of 27 new looks. When all was said and done, Mackintosh designed a staggering 275 costumes for this production. For the rollicking opening number, “It’s Today”, Lansbury made her entrance in a stunning pair of gold pailletted pajamas. Everybody else wore black, white, and grey. This made her the primary source of luminescence onstage. But, as any actor could tell you— as fun as it is to look fabulous, it can also be a lot of hard work. After all, 27 costumes means 26 costume changes. In the show’s early days, the task was proving to be too much for Angie. With the unrelenting pace of a musical comedy, some of her costume changes needed to be completed in as little as 10 to 15 seconds. In order for this to be accomplished, they needed to simplify.